Shop Spotlight: Reefs Skateshop — PIXELS – Skate videos, news, nonsense. 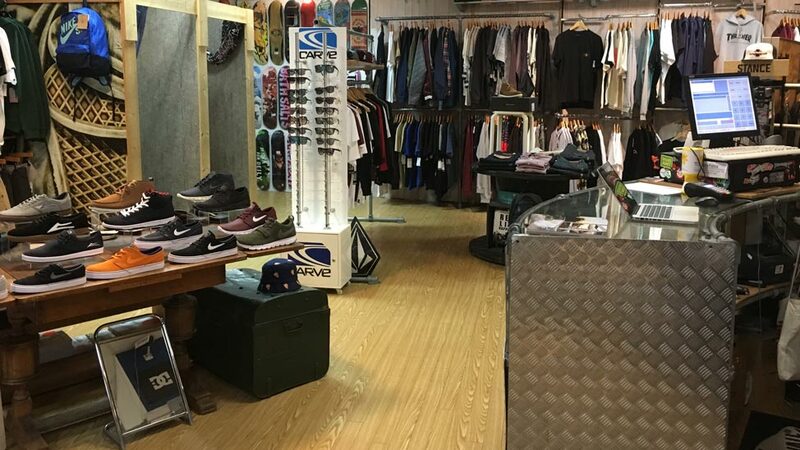 Shop Spotlight is back with a West Midlands edition as we spoke to Jack at REEFS Skateshop in Crowngate, Worcester. REEFS has been going 20 years strong now and has been a key part in Worcester’s skate scene so it was always going to be interesting to see what they were going to say. Enjoy, this is a good read! 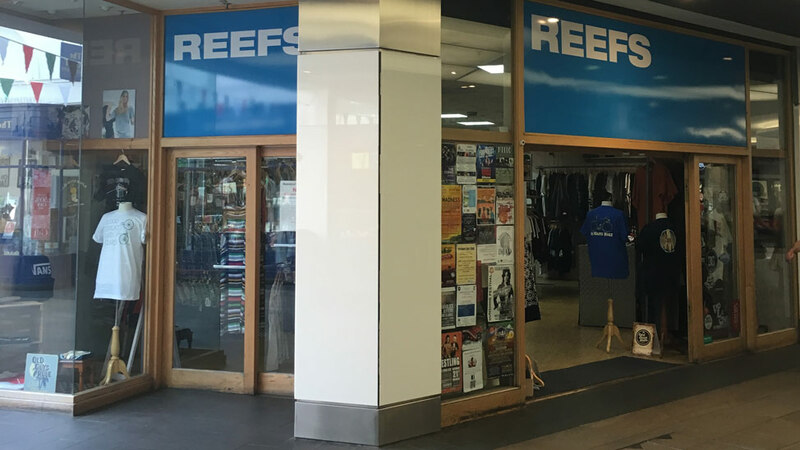 We are called REEFS and based in Crowngate, Worcester and we were founded in 1996. 20 years and counting, that’s a great achievement! Have you got anything planned to celebrate Reefs anniversary? Not yet. There are a few things in the pipeline. We’re hoping to throw a small gathering for friends and family of the shop. Beers, food and friends; what else do ya need eh? We are also working on a day up the skate park. What’s the shop’s modus operandi? We feel that we can offer more of a personal service to our customers as well as advice to those more unfamiliar with the scene. Over the last 5 years, myself amongst other members of staff have dedicated more time and energy into improving our skate section. It’s always a work in progress but our aim is to stay in touch with the local scene working with various small skate groups and generally with skaters of all ages. Still being here. There’s so much competition out there and we focus on offering an alternative. When chains like Two Seasons are offering similar brands and clothing it keeps you on your toes. Locals support the struggle and come here for something different. Not everyone wants to rock around in a generic tee and the guys who come here certainly get something different. Do you have a shop team? Who’s on it? We don’t actually have a team, we look after young local skaters as we feel these guys are the key to the future of skateboarding. Jord Lightowler who currently skates with A Third Foot is one of the many frequent visitors to the store who we try and assist as much as possible. This guy has some real talent! When we have spoken before, you mentioned that Worcester is a tough place for young skaters. Could you expand on what makes Worcester a difficult place to skate? With the ground being as crusty as most the residents, Worcesters Cobbled streets and broken slabs means that a lot of ledges, landings and run ups just quite simply aren’t possible! But that doesn’t quite stop the gnarly dudes such as Vaughn Baker from throwing mad stuff down. A lot of development is currently happening in and around Worcester so the future does indeed look promising. You also work closely with ‘Subfiends’ and ‘Team Robot’, what sort of projects have you got in the pipeline? The guys at Team Robot have been throwing competitions lately. We support them by helping out with prizes and posting out on our social feeds. 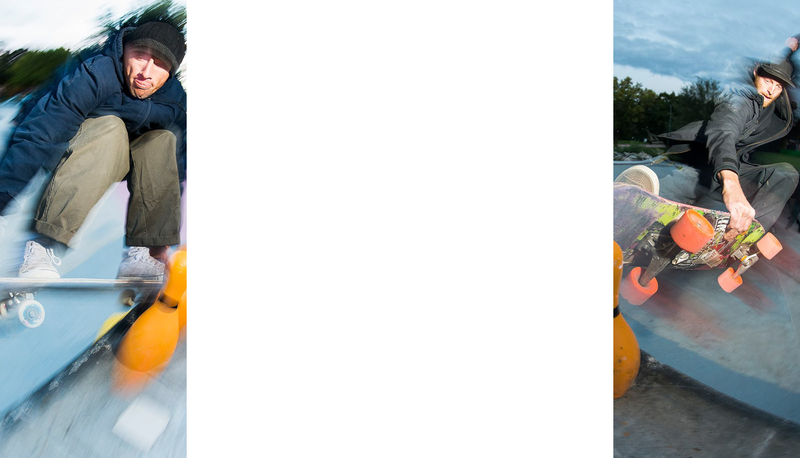 I mean come on, who doesn’t want a free board? If you had to diversify into selling something non-skate what would it be? Comics? Fancy dress? I’ve always fancied the idea of running a café aswell. Problem is Worcester is packed full of coffee houses so kinda strikes that one off the list. Some dude asked for a tee with an Amber Leaf logo on it. When we told him unfortunately we don’t, he asked for every other tabacco brand known to man! On the up! We’re pretty new to the website game to be honest so we’re having a re-launch to hopefully help us out! Social Media Links? What can people expect from your Instagram? 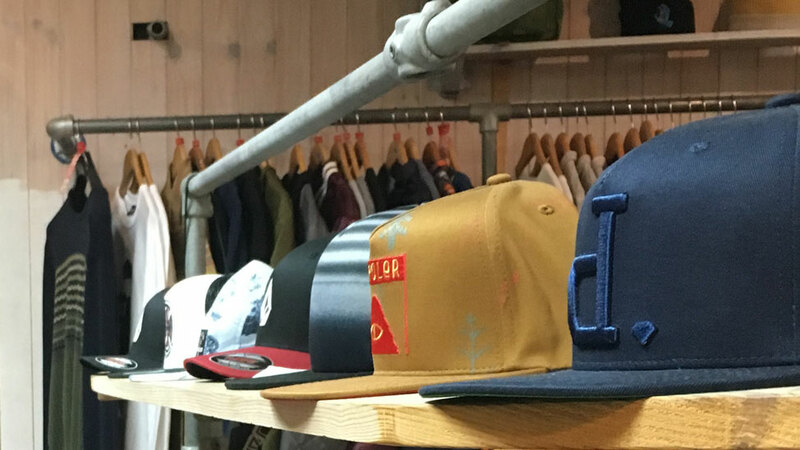 Our Instagram is full of the latest brands and offers we have in store and online! We try to update it a couple times a day along with our Facebook and Twitter so we’re pretty active. Follow us!